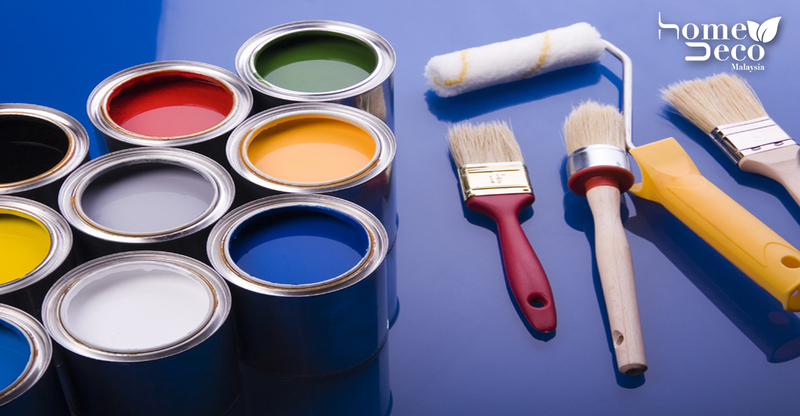 Don’t you think it’s time to repaint your house? Sure, you’ll feel that it’s not necessary but to others it could be eye sore. The paint chips falling off, the damp area that practically leaves a mark at the corner of the wall and many other reason why your guest will have an eye sore. Now, you know it’s a tiring and messy work but have no fear, there’s a way to paint your house without getting that much of a mess. It’s heart wrenching to see paints splatter all over the floor and so, just covered it up with a worn-out blanket. Just tap it at each corner and lay out the blanket – however you want to spread it out – and just paint like normal without feeling the pain of the paints splatter on the floor. Now, when you used the worn-out blanket, it’s wise to use a canvas material. Canvas is extremely durable and rip-resistant. It lays flat and presents much less of a tripping hazard. Canvas absorbs paint drips, unlike plastic drop cloths, which become slippery when splattered with paint. True, it’s annoying to paint the highest part of the wall and you’ll normally have to strenuously stretch yourself to paint that area. Don’t worry about it and get yourself an extension pole. Extension poles come in various lengths, up to 18 feet long, but one that extends from 18 to 36 inches is good enough to paint rooms with 8- to 9-foot-tall ceilings. Rolling paint from a paint tray is a futile, messy proposition. It’s so much more easier to used it rather than the tray. All you have to to do is, dip the grid into the bucket of paint; grab the roller; dip it in the grid; and just absorb enough paint for painting the walls. If you’re done painting for the day but still have more to do tomorrow, you don’t have to go through the laborious process of cleaning your paintbrushes and paint-roller sleeves. Instead, simply brush or roll off the excess paint, then tightly wrap them in plastic food wrap.